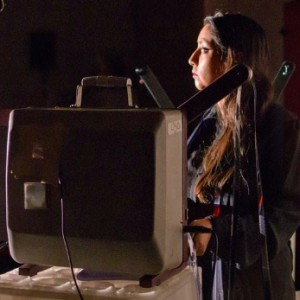 Falco Pols is a sound artist who makes site specific resonant sound installations. He graduated from the Bachelor’s ArtScience program at The Royal Art Academy at KABK, winning the Royal Academy Award (2016) for his “Saturation Chapel”. In 2017, he won the Bonn Hoeren Sonotopia award. Rahman studied audiovisual design at The Willem The Kooning Art Academy and is currently a member of the Film Werkplaats in WORM Rotterdam. 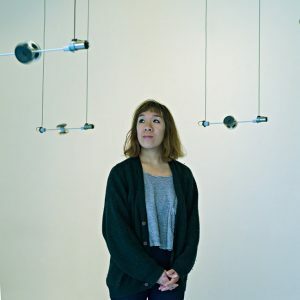 Gabey Tjon a Tham transforms spaces into sensory and immersive environments through kinetic machines, light, and sound. She observes behaviours and patterns in nature from where she extracts and assembles fundamentals. Tjon a Tham considers technology as a natural occurrence. In her works the technology has a logic on its own, it conflicts and harmonizes. The artist develops techniques and invents mechanical sculptures that embed different materials and perform at different poetic levels. Hereby natural-mechanical choreographies arise. The works invite us to wonder at, contemplate, and investigate. Graham Flett is a composer who has written for numerous groups within Europe, Canada, and the US, establishing a repertoire of pieces for small and large ensembles. His music is often characterized by a sense of mystery, subtle humour, and the use of characteristic sound-objects. At balance with the rational and the playful, Flett explores the limits and expectations of certain musical styles and their overall ability to be destroyed, combined, and reconfigured. 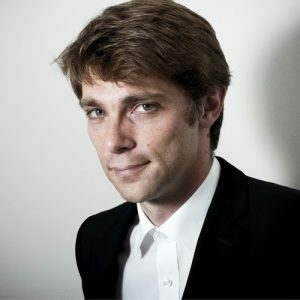 He has recently completed his PhD in Music Composition at Brunel University (U.K), with his principal and external advisors being Christopher Fox and Michael Finnissy, respectively. Kunrad is known amongst relatives as Koenraad de Groot. Sound is the most important element in his work, which consists of installations, compositions and performances. He has completed the Bachelor of Music in Composition Electronic Music at the University of the Arts Utrecht, and the Master of Music at the Interfaculty ArtScience in The Hague. Kunrad is currently based in The Hague and Utrecht. Curiosity forms the starting point for Kunrad’s compositions. A mathematical equation, musical tradition, or a specific instrument could be his subject of interest for instance. Within the exploration of these curiosities he forms the parameters of his composition. Kunrad has written compositions for choir, organ, harmonium, and spatial speaker installations. At present Kunrad is exploring paper, dripping, stripes and waves. Mariska de Groot is intrigued by the phenomena and history of optical sound. 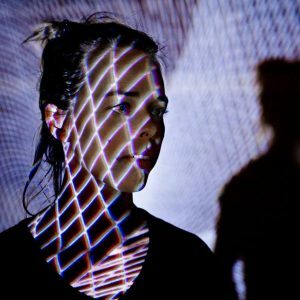 She makes, performs and composes for comprehensive analog light-to-sound instruments and installations which explore this principle in new ways. Her work often has a reference to media inventions from the past, with which she aims to excite a multi-sensorial and phenomenological experience in light, sound, movement and space. Matteo Marangoni focuses on the potential of listening to establish new connections between people, places and objects. His performances and installations employ field recordings, sound archives, computer programming and DIY electronics. Finding unconventional uses for audio technologies and other media, his work probes the relationship between sound, space and the body, approaching the body of the listener through physical experiences that collapse and reshape the space between subject and object. His installation “Quiet Before the Storm” received an honorary mention at the Sonic Arts Award 2014. He curates the nomadic performance program “No Patent Pending” and co-curated the Wonderwerp series at Studio Loos in the 2014/2015 season. He has curated the exhibitions “Taming Technology” (Le Murate, Florence, 2011) and “Eavesdropping” (VillaK, The Hague, 2011). Nikos Kokolakis is a composer living in Den Haag (NL). His main compositional interest lies in developing an understanding of sound as space in sonic structures. His works have been performed by various ensembles including New European Ensemble, Ives Ensemble and Slagwerk Den Haag. He is an active member of the Catchpenny Ensemble, focusing in multimedia and collective composition. In 2016 he won the first prize in the Composition Concours within the TROMP international percussion competition for his piece Stream for Marimba performed by Jonathan Bonny, and in 2015 the second prize in the International Carillon Composition Contest in Zwolle for his piece Squarcle for Carillon performed by Gijsbert Kok. 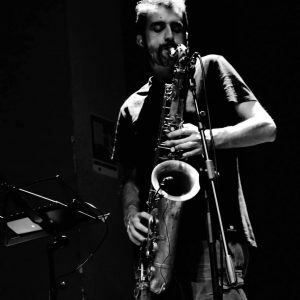 Riccardo Marogna is a musician, improviser, composer, born in Verona (Italy), currently based in The Hague. His research is focused on the electro-acoustic scenario, looking for that point where the electronic manipulations and the acoustic sounds merge seamlessly in the continuum of the sonic gesture. As a musician he is active in many projects, playing a range of reed instruments combined with electronics. 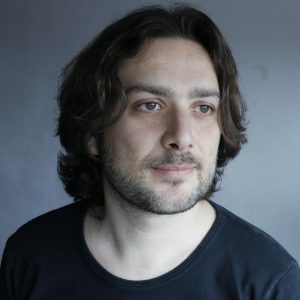 He has been a member of the Sound and Music Computing Group at the University of Padua, working on physically-based synthesis and multimodal interfaces. He is the author and co-author of a number of papers, published by JASA, IEEE, NIME, Biennale Musica, DAFX. He holds a Master from the Institute of Sonology, Royal Conservatory in The Hague, a BD in Jazz Music and Improvisation by the Conservatory of Ferrara (IT), a MD in Electronic Engineering by University of Padua (IT). He is currently a Research Associate at the Institute of Sonology. Stelios Manousakis is an artist exploring relationships between time, space, body, system, and sound. His work is particularly concerned with the invisible and the ephemeral, and with shaping sensation, perception and experience in time. 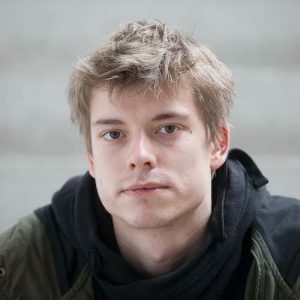 His practice extends from performances, to environments and interactive installations, to compositions, fixed media pieces, and film music and has been presented internationally in venues & festivals such as ZKM Karlsruhe, Museum of Contemporary Art Vigo, IDFA Amsterdam, Dag in de Branding, NIME, and Rewire festival. He has co-founded several groups, most recently the Modern Body Festival. 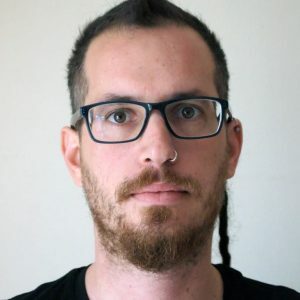 Stelios studied music and linguistics in Greece, Sonology in the Netherlands, and is currently completing a PhD in Visual and Performing Arts at the Center for Digital Arts and Experimental Media (DXARTS, University of Washington, Seattle, USA). 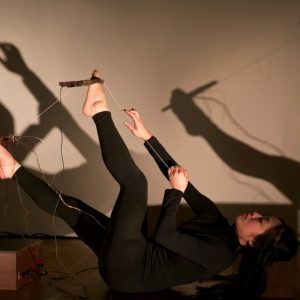 Stephanie Pan is a vocalist, performance artist, maker, and multi-instrumentalist currently based in The Hague. 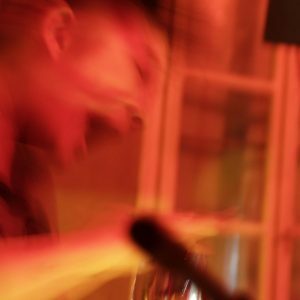 A mutating combination of theater/ performance art/experimental music/improvisation/controlled chaos/pop music/classical music, her work is visceral, passionate and intense, and often explores the limits of the body and voice. 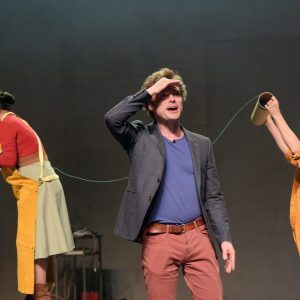 She has presented work in venues and festivals such as CTM Festival Berlin, Young Vic Theatre London, La MaMa Theater NYC, Amsterdamse Stadsschouwburg, Gemeentemuseum Den Haag, Rewire Festival, IDFA and Beursschouwburg Brussel. Additionally she is cofounder and co-curator of Modern Body Festival. Ms. Pan holds a Masters in Theatre from DasArts (AHK), BA from UC Berkeley in Music and Applied Mathematics, and a First Phase Diploma, with distinction, in Classical Singing from The Royal Conservatory, The Hague. 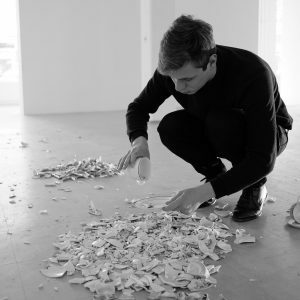 Teun Verkerk is a maker of interactive objects and spaces. 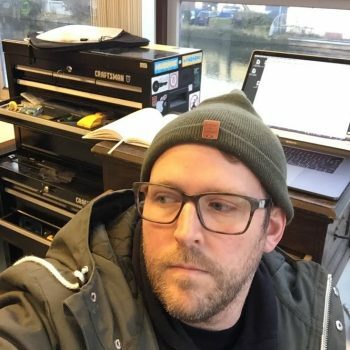 As an architect and interaction designer he works at the intersection of architecture and industrial design, interaction (ux design) and (embedded) electronics. 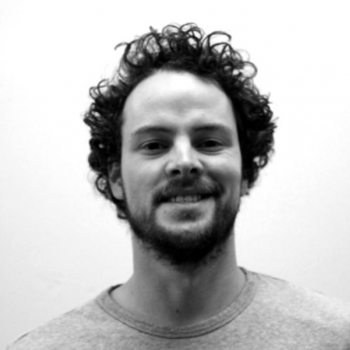 He studied Architecture at TU Delft with major thinkers such as Winy Maas (The Why Factory / MVRDV), Kas Oosterhuis (Hyperbody / ONL) and Marcel Bilow (BuckyLab) after his first study Interaction Design in Hilversum (HKU). Tivon Rice is an artist and educator working at the intersections of visual studies and technology. His work critically explores representation and communication in the context of digital culture. His projects examine the ways physical environments and mass media create images, and in turn build histories around sites and communities.